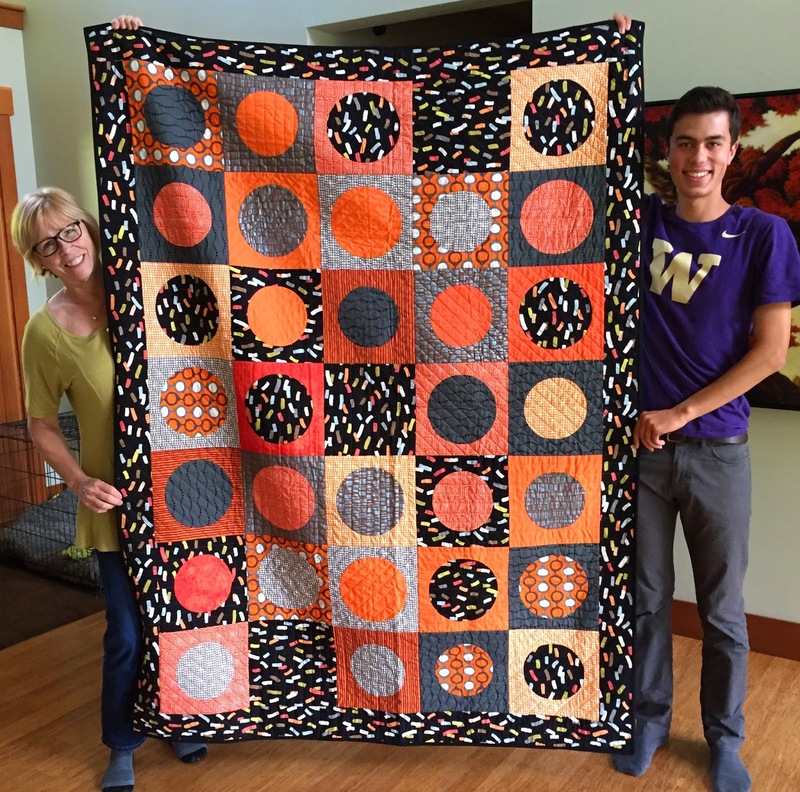 I wrote a blog earlier about high school graduation quilts that I make and give to my family members. This year, we had two graduations, so I'm showing you the two pictures taken at the presentation of the quilts. This first one is of me and my grandson, Nick DeJarlais. 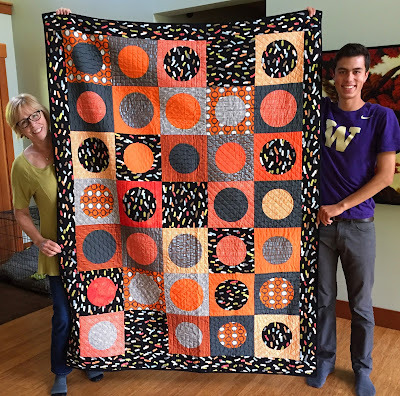 He graduated from Bellevue High School and will be attending the University of Washington in the fall. His favorite color is orange. The next one is of me and my great niece, Katherine Adams. She graduated in Sammamish, WA and also will be attending the University of Washington. Her favorite color is dark green (which is on the back of her quilt). 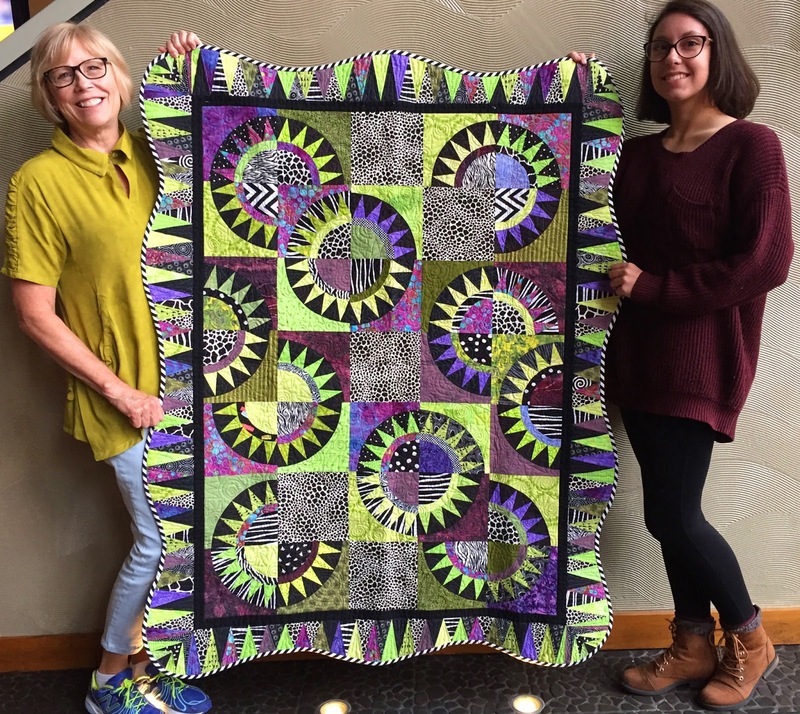 Those are beautiful quilts for some extra special graduates! You are a treasure! 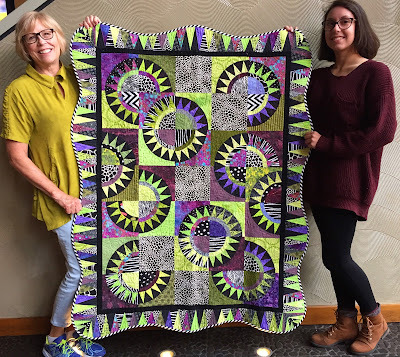 Wonderful photos and quilts! My how time flies!